The University Compliance Program focuses on efforts that promote a University culture that encourages ethical conduct and a commitment to compliance. The UReport provides an anonymous way for University community members to report concerns of misconduct. Questions about the U Report? 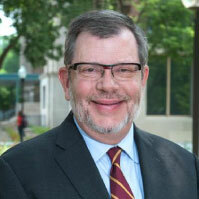 Honesty and integrity are critical to all we do at the University of Minnesota. As the state’s only land-grant, public research institution with impact in all 87 counties, we have a special responsibility to strive every day to do the right thing. Maintaining the highest standard of ethics — and committing ourselves to a culture of compliance — is essential to our success. Part of that commitment is feeling comfortable and expressing concerns when we see that something isn’t being done right. We are a world-class university because of you — our faculty, staff and students — and because of our extraordinary teaching, groundbreaking research and vital public engagement. That global reputation rests on the actions we each take and the decisions we each make as we live up to the values of honesty, integrity, and respect and fairness in dealing with others. Thank you for making the University of Minnesota a model of ethical behavior today, and every day. The Code of Conduct is representative of the University’s core values and expectations for conduct. As employees, it’s important for us to comply with the Code of Conduct and to report violations of the code. Witnessed or suspected violations of the code may be reported using UReport, the anonymous reporting service for the University.